NDTV & Intel have come together to create a special campaign – India Innovates, focusing on India’s budding innovators and the role of technology in fostering a fresh wave of innovations in context of mega schemes of the government – Digital India, Make in India to Make for India. We see how a moderate shift in the way of doing things in one part of the country can have a momentous impact on the life of someone living thousands of miles away or how an idea that germinates in an urban middle school can impact the everyday life of an older person in a small town; how simple devices can open floodgates of vital information or how we are able to retrofit an existing infrastructure and make it relevant for the long haul. 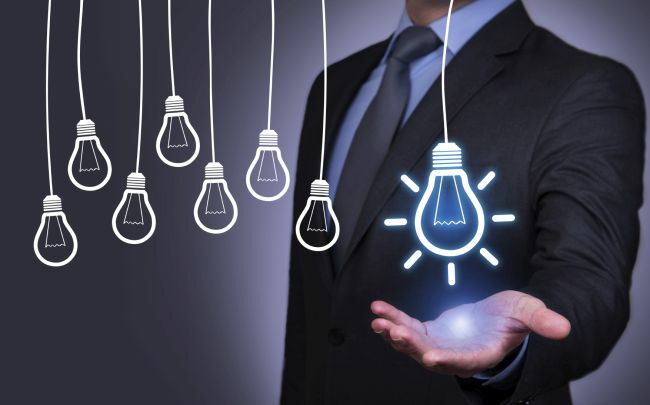 Key stakeholders, visionaries from the field, innovators, users and early adopters will talk about the impact of these changes on the world around them. Mr. R.S. Sharma joined as Chairman, Telecom Regulatory Authority of India (TRAI) on 10th of August, 2015. Prior to joining TRAI Mr. R.S. Sharma was working as Secretary to Government of India in the Department of Electronics and Information Technology. He has also worked as Chief Secretary to the State Government of Jharkhand (India). His other assignments include Director General & Mission Director of the Unique Identification Authority of India (UIDAI) where he was responsible for over-all implementation of this ambitious and challenging project undertaken by the Government of India for providing Unique Identification (christened as Aadhaar) to all its Residents. Before his posting at UIDAI, Mr. Sharma worked with the Government of Jharkhand as Principal Secretary of the Departments of Science and Technology, Drinking Water & Sanitation, Information Technology (IT), Rural Development and Human Resources Development. As Principal Secretary of the IT Department, Mr. Sharma was responsible for formulation of State policies in the IT and e-Governance areas. He also over-saw the implementation of various e-Governance Projects in all the Departments of the State Government. Mr. Sharma has held important positions both in the Government of India and State Governments in the past and has been deeply involved in the administrative reforms and leveraging IT to simplify the administrative processes. During his posting in Government of India, he has worked in the Department of Economic Affairs and has dealt with bilateral and multilateral development agencies like World Bank, ADB, MIGA and GEF. He was also in-charge of Financing of Infrastructure projects in the Highways, Ports, Airports and Telecom sectors. Mr. Sharma’s contributions to the IT and e-Governance have been widely recognized both within India and outside. He has been responsible for implementing a number of Projects relating to ICT Infrastructure, Process Re-engineering and Service Delivery in Public Private Partnership (PPP) mode. Mr. Sharma holds a Master’s Degree in Mathematics from IIT, Kanpur (India) and another Masters in Computer Science from the University of California (USA). 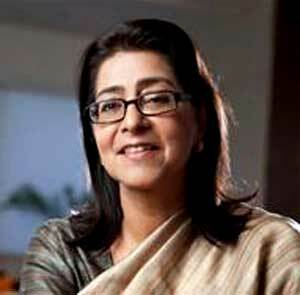 Naina Lal Kidwai is Executive Director on the board of HSBC Asia-Pacific and Chairman HSBC India which employs 32,000 people and comprises Banking services, Insurance, Asset Management, HSBC Securities and Capital Markets, HSBC Software Development (India) Private Limited and the Global Service Centres (BPOs servicing HSBC’s operations in the UK, EU and USA). She is Non-Executive Director of Nestle S.A. and Past President of Federation of Indian Chambers of Commerce and Industry (FICCI). An MBA from Harvard Business School, she makes a regular appearance on listings by Fortune since 2002 and others of international women in business. She has received many awards and honours in India and was awarded the Padma Shri, for her contribution to Trade & Industry, from the Government of India in 2007. She has edited two books Contemporary Banking in India and 30 Women in Power: Their Voices, Their Stories. She is one of India’s representatives on the BRICs Business Council and India Malaysia CEO Forum, and on the Governing Boards of the National Council of Applied Economic Research and the National Institute of Bank Management. She is also a Global Advisor for Harvard Business School and the Chair of its India Advisory Board, and member of the City of London’s Advisory Council for India. She has been a member of the Government of India’s Industry Task Force, the Prime Minister’s Trade and Industry Council, the National Manufacturing Council, the National Trade Council, and on the Working Group on Banking, Financial Sector Legislative Reforms Commission. Her interests include women empowerment through livelihoods and environment and water issues where she is on the Global Commission for Climate and the Economy, Vice Chair of the World Economic Forum’s Global Agenda Council on Water, Chair of FICCI’s Water Mission and also FICCI’s Inclusive Governance Council, on the Advisory Council of the Inquiry for United Nations Environment Program (UNEP) and on the boards of non-for-profit organisations, Shakti Sustainable Energy Foundation and TERI (The Energy and Resources Institute). 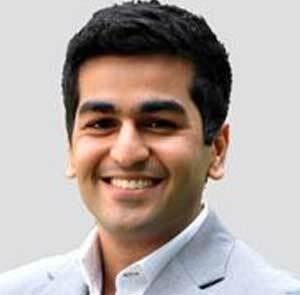 Kavin Bharti Mittal is the Founder & CEO at Hike Messenger – the only home-grown IM App. Hike Messenger is a venture of BSB, a JV between Bharti Enterprises and SoftBank Corp, focused on the mobile-internet space. Kavin is an extreme tech-enthusiast and has been actively involved in the start-up community having founded a start-up of his own. In December 2012, Kavin launched BSB’s first mobile app – Hike, a free messaging app. Hike has over 70 Million users (as of October 2015). Close to 90 – 95 % of its users is from India; and are under the age of 25. Kavin’s entrepreneurial journey began at an early age of 20 when he founded AppSpark to explore the possibilities in the mobile apps space. In 2009, AppSpark launched ‘Movies Now’ in partnership with movietickets.com, a mobile app that would go on to change the way consumers bought movie tickets on the go. His determination to build services with a great user experience and immense focus on design led Movies Now to be recognized by Apple as ‘One of the 10 Essential Movie Goer Apps’ for the iPhone. Kavin completed his Masters in Electrical and Electronics Engineering and Management (MEng) from Imperial College, London. While at Imperial College, Kavin interned at a few of the world’s top companies such as McLaren Racing, Google & Goldman Sachs. 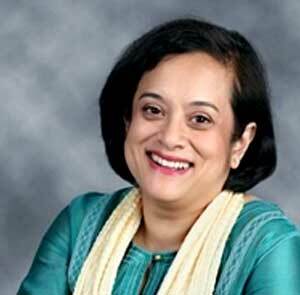 Debjani Ghosh is vice president in the Sales and Marketing Group and managing director for South Asia at Intel Corporation. Based in India, she is responsible for establishing new growth areas for Intel in Afghanistan, Bangladesh, Bhutan, India, Nepal, Pakistan and Sri Lanka. She works with governments and industry in these countries to establish policies and initiatives that help accelerate the adoption of technology in the region, especially as an enabler of inclusive growth and development. 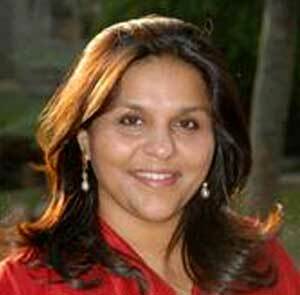 Ghosh joined Intel in 1996 as a marketing communications executive charged with developing a consumer marketing program in India. Subsequently, she set up and managed Intel’s education programs across the Asia Pacific region. Before assuming her current role, she had served as Southeast Asia marketing manager, as country manager for Malaysia, and most recently, as director for Southeast Asia. Before joining Intel, she spent 3 years with Ogilvy & Mather advertising agency. Ghosh is the chair of the IT Committee at the Federation of Indian Chambers of Commerce and Industry and vice president of the Manufacturers’ Association for Information Technology. She is also a trustee of the NASSCOM Foundation. In 2013, Fortune India ranked her among the 25 most powerful women in India. Ghosh holds a bachelor’s degree in political science from Osmania University in Hyderabad, India, and an MBA degree in marketing from S.P. Jain Institute of Management and Research in Mumbai, India. A member of the founding family, Sangita Reddy actively participated in the inception of Apollo Hospitals, and formally joined the Group in 1983 as a management Trainee. Two years later, she assumed the role of an Executive Assistant to her father, Dr. Prathap C Reddy, Chairman, Apollo Hospitals Group. This experience assisted her greatly in developing a sound knowledge of the healthcare ecosystem and superlative patient care. Sangita has been pivotal in directing operations for the entire Apollo Hospitals Group and under her able stewardship Apollo Hospitals in Hyderabad emerged as Asia’s first Health City – a model that also introduced multi-dimensional holistic healthcare to India. Sangita steers Apollo’s thrust on research, innovation and healthcare initiatives. She is also the Chairperson of Apollo Knowledge, the education vertical of the group. She is also the Chairperson of Apollo Sugar Clinics an innovative patient centric theme focused on Diabetes. She is a member of the prestigious World Economic Forum’s Global Agenda Council on Digital Health which aims to advance the use, adoption and measurement of technology in health and healthcare, focusing on digital health. Sangita greatly influenced the development of the healthcare information technology industry in India, particularly with the global Healthcare IT Conferences that she had initiated in 2010. An ardent champion advocating the benefits of a global delivery model through rural hospitals, outreach camps, telemedicine and other such innovative models, Sangita has always been focused on the need to create healthcare of the future. She spearheaded the organization’s endeavours in the domain of telemedicine, e-health and mobile health and continues to head the IT functions across all divisions of the Group. Anil Kapoor (born 24 December 1956) is an Indian actor and producer who has appeared in many Bollywood films and more recently international films. Kapoor’s career has spanned almost 25 years as an actor. He was the producer for the critically acclaimed movie Gandhi, My Father. He has also starred in many other critically and commercially successful films: Woh Saat Din (1983); Meri Jung (1985); Janbaaz (1986); Karma (1986); Mr. India (1987); Virasat(1997), for which he won the Filmfare Critics Award for Best Actor; Biwi No.1 (1999); Taal (1999), for which he won his second Filmfare Best Supporting Actor Award; Pukar (2000), for which he won a National Film Award for Best Actor; No Entry (2005);Welcome (2007); Race (2008); Race 2 (2013). Anil Kapoor’s first role in an international film was in Danny Boyle’s Academy Award-winning film Slumdog Millionaire, for which he shared the Screen Actors Guild Award for Outstanding Performance by a Cast in a Motion Picture. His performance in the eighth season of the action series 24 generated rave reviews from the American press. 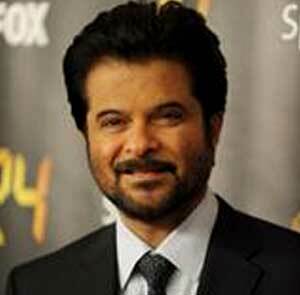 Globally, Anil Kapoor is one of the most recognized Indian actors. 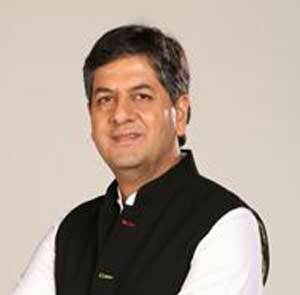 Vikram Chandra has been associated with NDTV since 1994 and is one of India’s leading news personalities who has also been running the company for some years now. As Chief Executive Officer, NDTV Group, Vikram has the overall authority and responsibility for all aspects of the company. He became a member of the NDTV Board w.e.f. November 1, 2011. He is the Executive Chairperson of NDTV Convergence, the Group’s online venture, which Vikram helped set up in 1999, and which he subsequently took to a position of strength as its CEO. As one of India’s best known anchorpersons he presents ‘The Big Fight’, which has long been one of India’s top rated news and current affairs programmes. He also anchors ‘Gadget Guru’, which is the country’s leading show on technology and gadgets, together with big events like elections or the Budget. Vikram is also the face of NDTV’s social programming for public interest. He has anchored all editions of the NDTV Greenathon, and the Save our Tigers campaign. In addition, he is associated with the Support my School, Our Girls our Pride, and Banega Swacch India campaigns. 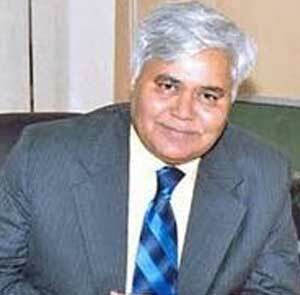 Earlier, as a special correspondent, he has extensively covered the Siachen & Kargil wars, and the conflict in Kashmir. He was educated at St Stephen’s College and the University of Oxford; and then picked up essentials of broadcasting at Stanford University.